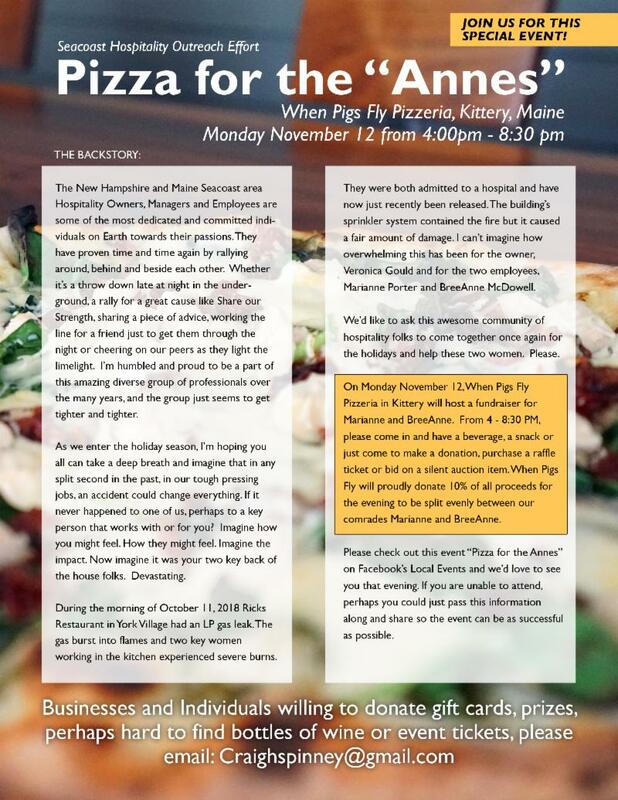 Name: Pizza for the "Annes"
On Monday, November 12, When Pigs Fly Pizzeria in Kittery will host a fundraiser for Marianne and BreeAnne who were injured in the kitchen fire at Rick's Restaurant in York. Please come and have a beverage, a snack or just come in to make a donation, purchase a raffle ticket or bid on a silent auction item. When Pigs Fly Pizzeria will proudly donate 10% of all proceeds for the evening between our comrades Marianne and BreeAnn!